Architects, builders, developers and savvy home buyers are beginning to understand not only the importance of airtightness, but also the potential complexity in getting it right. There is, however, a very simple solution: work with a proven system of carefully developed and tested products – and the expert team behind them. As part of its customary standards of independent and thorough testing, the BRE built a compact timber structure on site. The following products were then fitted, taking great care to correctly install and properly seal at laps and penetrations, and in all corners, curves and awkward spaces: Tyvek® Supro to the roof, Tyvek® HouseWrap to the exterior of the walls, AirGuard® Control AVCL to the interior of the walls, Tyvek® tapes throughout the construction, plus the newly launched Tyvek® FlexWrap EZ tape to windows, doors, rafters, floors, etc. Once the test structure was complete, a blower door was fitted and the structure pressurised to the industry standard 50Pa. Test results were recorded after each stage of completion. The final tests were conducted when the latest low emissivity Tyvek® membrane was fitted as the external wall membrane. This resulted in an extremely impressive figure of 0.12 m3/hr/m2 @50Pa (0.24 ACH), well below the Passivhaus standard which in itself is a difficult level to achieve. BRE, “The testing showed the importance of maintaining an airtight barrier around the test building to prevent unintended air infiltration/exfiltration. The DuPont™ Tyvek® and AirGuard® membranes and tapes provided an almost complete air tight seal around the walls and roof of the test building. The imperatives of a variety of regulations are one thing, but the key drivers are emerging from the market itself, and from the appreciation that airtightness brings not only sustainability benefits but also increases both cost-efficiency and occupier comfort. Current UK regulations call for air leakage figures below 10 m3/hr/m2 @50Pa and controls are bound to get only get stricter in future, while the benchmark Passivhaus standard is 0.6 ACH, equivalent to around 0.3 m3/hr/m2 @ 50Pa. This is where the holistic approach from DuPont becomes even more indispensable, with the joined-up thinking of products such as DuPont™ FlexWrap tapes, which are designed to expand, contract, bend and shape concertina style, to fit into any awkward area to be sealed. 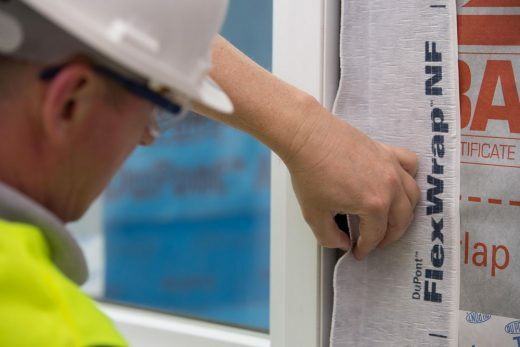 A new version of the product, Tyvek® FlexWrap EZ, is about the hit the market, bringing even further benefits for both performance and installation to the new generation of responsible construction. 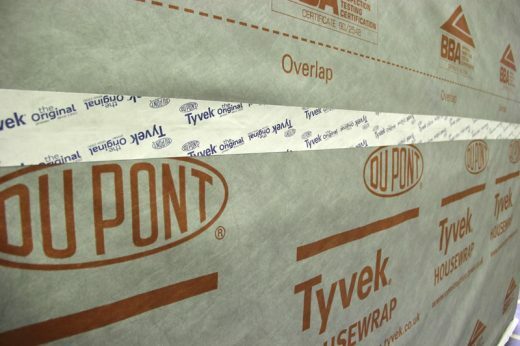 DuPont™ Tyvek® advanced building membranes are unique in the market due to their high-quality single layer construction. 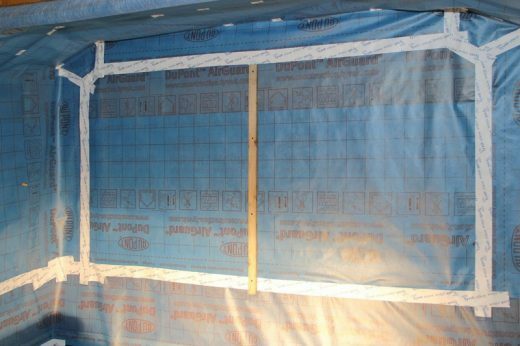 Tyvek®, in all its specialised versions, is naturally vapour open but also durably wind and water-tight. Lightweight yet robust, it is easy to install and offers long-term, proven reliability. Designed to protect the building envelope against the effects of weather and moisture, this family of membranes also offers optimal air-tightness and can help to improve the thermal performance, energy-efficiency and interior climatic stability of a building. 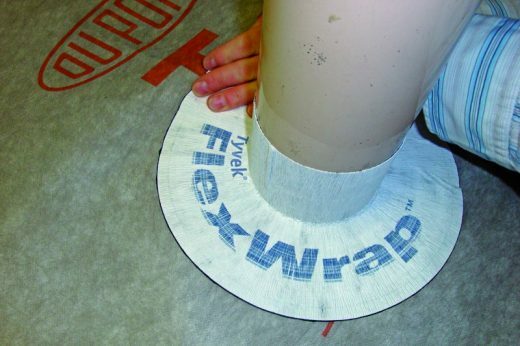 Tyvek® is also designed to work as part of a holistic and optimal system with a range of other proven DuPont products for the building envelope, including the DuPont™ AirGuard® advanced AVCL series, the highly versatile DuPont™ FlexWrap tape, plus other specialised tapes and sealants. All DuPont building products come with the renowned service, expertise and technical back-up of a world-class science company.